The Urbanisation often called Little Britain can be found on a hill above La Marina Village and is far larger than the Village. 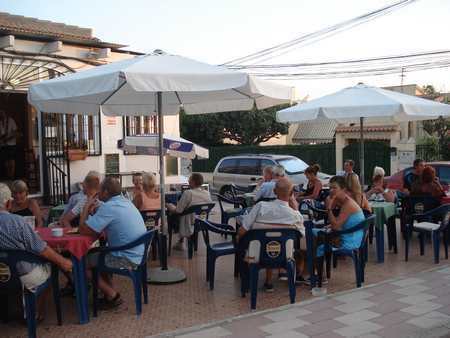 La Marina is only 20 minutes South of Alicante airport and its fabulous city. The Urbanisation is a very popular area for all nationalities offering an abundance of facilities including bars, shops, restaurants, banks, solicitors, doctors, opticians, dentists, hairdressers, beauticians, sports centres, aqua parks, bowling, a new police station, new civic centre, a gym, vets, all types of tradesmen and lots more. Plus of course there is an excellent choice of Rental Properties available. Or if you are looking to Retire here in the sunshine or are just looking for a Holiday home to purchase click here. Or if it is a Detached Villa you are looking for try clicking this page. There is an abundance of wildlife close at hand with the Salinas de Santa Pola having one of the largest flocks of flamingos in Spain and the famous El Hondo nature reserve close by. With mountains inland and salt lakes to either side the area has its own microclimate with little rain. The World Health Organisation recognises it as the healthiest place to live and stay in Europe. No doubt, this fact played a part in La Marina recently being listed in the top 10 best emigration destinations by "Homes Overseas" magazine. The Costa Blanca coastline is world famous for its excellent beaches and golfing facilities. However, there is so much more to do than just bask in the sunshine. This part of Spain has been occupied by many different peoples over the centuries, each leaving their own historical influences on the area. As a result, the region is home to some stunning cultural landmarks: castles overlooking the sea; ancient villages; impressive cities, all built and added to by many conquering races. There is also some stunning countryside, including the largest palm grove in Europe at nearby Elche. So why not explore some of these treasures during your stay ? There are many places you could tick on a "must-see" list. We would include among them Alicante itself (more than just an airport! ), Torrevieja, Elche, Orihuela and - especially for the kids - Terra-Mitica. Around 2hrs drive north along the AP-7 is the city of Valencia, the 3rd largest in Spain, and well worth a visit. However, the real “must-see” of the area has to be (in our opinion), the tiny village of Guadalest, inland from Benidorm. Carved out of the mountain, access to the village is through one very small and narrow entrance, for easy defence in times of emergency; a fascinating and truly unique example of local Spanish heritage. As expected, there is an abundance of water sports available to try in the Torrevieja area. There are also marinas in Santa Pola,Torrevieja, Guardamar and Alicante. For children there are 2 Aqua Parks found in nearby Quesada and Torrevieja, which also have a number of shops restaurants, bars, banks and the like to meet all your holiday requirements. There are many markets held in the local towns and villages, and the La Marina Market is held on Thursdays and Sunday,or a drive into Torreveija takes you to more sophisticated shopping. For a completely different aspect, the hills which back onto the Costa Blanca offer some superb walking, especially further north towards Benidorm and Denia. Due to the excellent Spanish motorway network, Valencia is only a couple of hours away, which is ideal as Formula 1 gears up for its second urban based circuit in Europe (Monaco being the first), to be held in Valencia . The new circuit is based around the City of Arts and Sciences and the Marina area at Port Americas Cup. Surpassing Monaco and taking the lead as the new European Grand Prix, the race is held around the Mediterranean port. There are several golf courses in the area the La Marquesa Golf Course of Ciudad Quesada, Its wide fairways with large channels, lakes and obstacles will be to the taste of most players. It is an extremely comfortable course to play on and you will need to use all the clubs in your bag. A little further on is El Plantio Golf Course, which is an unspoilt area of Elche. It is both interesting and fun to play on, being a filled with trees and 3 large lakes with a great variation of greens. It is planned to be much larger in the near future. Buena Vista Urbanisation At the moment it is a ***Buyers Market*** and there are some really fantastic deals around. Come and share our Sunshine !!! 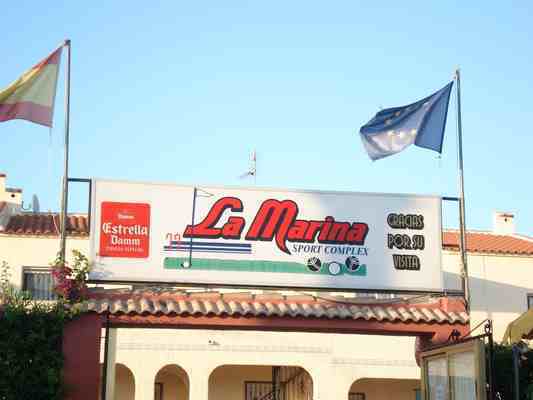 Here are a few videos of La Marina.